Don't let braces wreck your style! Make your braces your braces! Who says having braces needs to be a bummer? Show your personality with WildSmiles, the only braces that turn correction into expression! Take your orthodontic braces from mild to wild with WildSmiles! WildSmiles are specially designed brackets that come in a variety of fun shapes including stars, hearts, soccer balls, footballs, flowers, and Super-Diamonds®. Designed to make your orthodontic experience fun, WildSmiles are a unique alternative to traditional braces. With traditional metal braces, that's all you get—metal braces. With WildSmiles, you can choose your favorite shape and mix the brackets with colored elastics for added individuality and a completely custom experience. 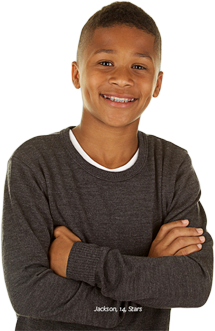 WildSmiles are low-profile, stainless steel braces that work just like traditional braces. We want you to have an excellent outcome to orthodontic treatment, and WildSmiles provides the same quality smile after treatment but makes the journey to a perfect smile more fun. Choose your smile – You get to decide what your smile looks like during your treatment, so choose your favorite shape for a look that is all you! Visit our office for a braces consultation – During your consultation, we can answer any questions that you may have about WildSmiles. Tell us which “Wild” shape you want to wear – Use this cool design tool to create your personal smile, then let us know which shape is right for you! WildSmiles designer orthodontic brackets are made in the USA and patented designs offered exclusively through WildSmiles Inc. Use of logos, products, and other proprietary information is expressly granted by WildSmiles Inc. A copy of all register trademarks and patents can be found on file at the USPTO.